The simple dichotomies that once defined the aid relationship – rich and poor countries, donors and recipients, the global North and South, foreign expertise and local knowledge, to name a few – have been rendered obsolete. The global flow of knowledge and expertise is changing. New players have appeared on the stage of development cooperation, including non-DAC countries, impact investors, philanthropic organisations and private sector companies. 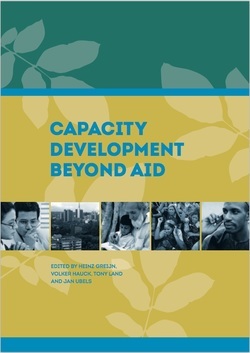 In this 113-page retrospective publication co-edited by Heinz Greijn, Volker Hauck, Tony Land and Jan Ubels, the partner organizations behind Capacity.org (SNV Netherlands Development Organisation and the European Centre for Development Policy Management) outline an agenda for future research and practice. 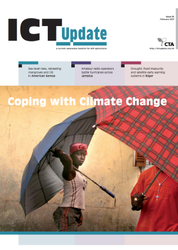 The publication also commemorates the 15th year anniversary of Capacity.org during which 47 issues of the journal were produced, as part of a broader knowledge platform for capacity development practitioners. Learning for Development managed the production of Capacity.org journal as well as the corresponding website and learning portal from 2007 until 2014. Following the discontinuation of the journal and web platform, we coordinated the production of the retrospective publication Capacity Development Beyond Aid (2015) that analyzed the evolution of capacity development theory and practice over the past two decades. As part of our role of facilitating knowledge development and joint learning processes within organizations as well as broader networks, L4D supports a range of clients in conceptualization, development and monitoring of knowledge and outreach products targeted at diverse audiences. This page contains a selection of our knowledge products. This publication was developed in the framework of the Partos learning platform, a collaborative programme of Dutch-based international development organizations. This publication analyzes the main findings of a study commissioned by the Partos working group on monitoring and evaluation that examined some of the factors that influence the use of monitoring data.The analysis is supported by eight illustrative case studies of how Partos members are working to improve their utilization of M&E data. The case studies range from the use of methodologies such as sensemaking, data mapping and scorecards, to approaches that help funding organizations to create trust among their southern partners and hence improve the relevance and ownership of monitoring data. The MFSII Progress Report 2015 and MFSII Synthesis Report (2016) is an end-of-project report highlighting the achievements of the Dutch-funded MFSII development cooperation programme implemented by the Interchurch organisation for development cooperation (ICCO Cooperation). The report includes an annual report for 2015 as well as an overall synthesis report of the five-year MFSII period (2011-2015). One of the key themes of the report is assessing the readiness of ICCO Cooperation and its southern partners to transition to a new way of "doing development." This follows a radical shift in Dutch international cooperation policy, which increasingly links development cooperation to trade and investment, and a greater role for the private sector. The Business Organisations and Their Access to Markets (BOAM) programme provided development actors in Ethiopia with a unique opportunity to experiment with the value chain approach in a pro-poor context. Thousands of people participated in and benefitted from the programme and valuable lessons were learned at all levels, including by smallholder farmers and farmers’ organizations, traders and processors, exporters, research institutes, government institutions and the donor community. The systems approach taken by BOAM is explained in eight chapters, starting with the four key building blocks of value chain development: sector, business, knowledge, and services development. The next two chapters explore the theory from a practical perspective and analyze some of the results, drawing on external validations. This is followed by a chapter describing how the programme was successfully adapted to address the needs of smallholder farmers in several food-insecure areas in Ethiopia. The conclusion distills ten key lessons for practitioners, researchers and policymakers. The international development community invests billions of dollars to improve organizational capacity. But real-life practice is poorly understood and undervalued as a distinct professional domain. Written by practitioners, this innovative publication is designed to make capacity development more professional and increasingly effective in achieving development goals. Practical illustrations draw on experiences from the civic, government and private sectors. A central theme is to understand capacity as more than something internal to organizations. This book shows how capacity also stems from connections between different types of actor and the levels in society at which they operate. The content is crafted for a broad audience of practitioners in capacity development: leaders, front-line workers, activists, facilitators, managers, programme staff, advisers, consultants, trainers, and funding agencies. One of the core services provided by L4D Consultancy is supporting development organizations to reflect on their practice and share the resulting insights with others. Over the years we have helped to publish and disseminate numerous case studies, field reports and "lessons learned". Click on the link below for examples of "Practice Briefs" that have been produced through a collaborative "writeshop" process with field-based development advisers. Wangu Mwangi (1996) "The law does not speak the Samburu language", in: Michael Brown and JoEllen McCann (eds) A guide to strengthening non-governmental organization effectiveness in natural resources management, USAID,Washington, pp.71-72. (Based on an original article published in Econews Africa Vol. 3, No. 8, 1994, Nairobi).